Sept. 4, 1926:The Times publishes a map showing the streets of the day, noting the changes made since Ord’s survey. 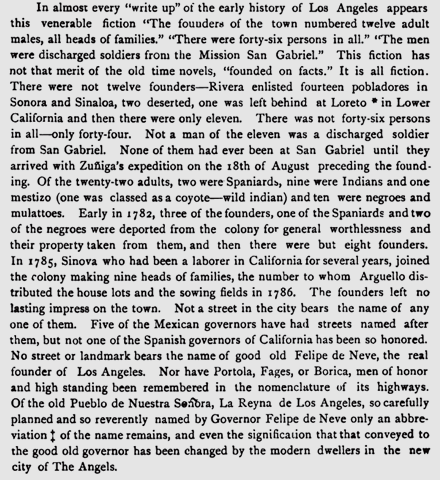 Jan. 1, 1892: To retell the founding of Los Angeles, The Times reprints an account from Juan Jose Warner’s “Historical Sketch of Los Angeles County” (1876). This account also appears in the Thompson and West’s “History of Los Angeles County, California” (1880). This entry was posted in 1781, 1926, 1981, City Hall, Downtown and tagged #LA Birthday, 1781. Bookmark the permalink.